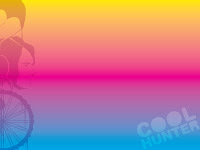 At macslater.com.au we’ve just announced the five finalists in our coolhunting competition. There were hundreds of finds to trawl through and these were the best of the best. Check out the stuff they hunted and have your say on who wins the 80GB ipod Classic. Voting ends 11/1/09. Today I’m reading about Shanghai, China, the setting for the third book in the Coolhunter series.